Heat oven to 350°F. Spray 10-inch tart pan with removable bottom with cooking spray. In large bowl, break up cookie dough. 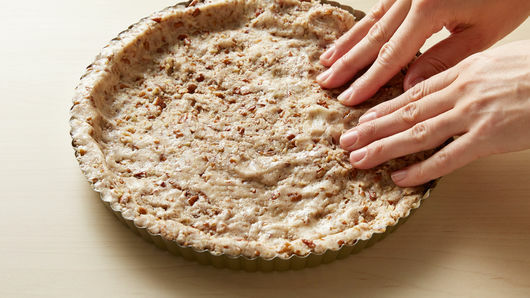 Add 2 cups of the pecans; mix with wooden spoon, or knead with hands until well blended. Press in bottom and up side of pan. Bake 18 to 22 minutes or until golden brown. Cool completely, about 1 hour. Meanwhile, rinse blackberries under cool water; drain. 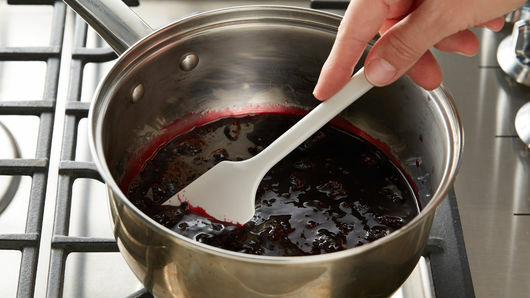 In 2-quart saucepan, mix 1 cup of the sugar and the cornstarch; stir in blackberries. Cook over medium-high heat until mixture comes to a boil. Cook 5 to 6 minutes, stirring frequently, until mixture is thickened and syrupy. Remove from heat; cool 15 minutes. Refrigerate until mixture is chilled, 30 minutes. Grate 1 teaspoon zest from lemon; squeeze 1/4 cup juice. In medium bowl, mix 1/2 cup of the sugar, the lemon zest and lemon juice until sugar begins to dissolve. Add mascarpone cheese. Using whisk, stir until well blended. In small bowl, using back of spoon, muddle basil and remaining 1/4 cup sugar. 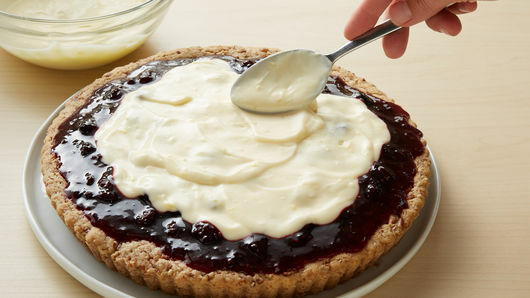 Spread blackberry mixture evenly in cooled baked crust. Carefully, spoon and spread mascarpone cheese mixture over top of blackberry mixture. Sprinkle with muddled basil and remaining 3 tablespoons pecans. Refrigerate uncovered 1 hour. To serve, cut into wedges. Store loosely covered in refrigerator. This tart is best served the same day. Muddling means to gently break down ingredients to release their flavors. 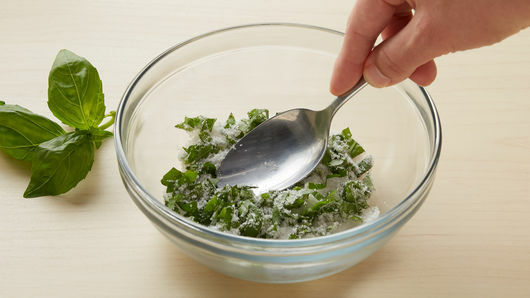 Use the back of a spoon to gently press and twist the sugar and basil together until the sugar is somewhat green from the basil and is fragrant. This sweet and simple tart holds three generations of traditions and memories in each wedge. I grew up picking fresh blackberries on our farm, where we had so many blackberry brambles (seemed like mountains) all over the pastures. We could pick blackberries until our fingers and faces were stained and still never get them all. Then came the canning and freezing in my mama’s farmhouse kitchen so we could enjoy that bright sweet flavor of summer all winter long. We’d eat blackberries in pies, cobblers and just thawed and sugared a bit and spooned over ice cream. My own daughters, now 26, 24, 21 and 18, have wonderful memories of picking berries with Grandma and enjoying them in her kitchen. Fast forward a few years, and I discovered how delicious they were with mascarpone cheese, especially with some lemon in the mix. Our tradition of complementing delicious blackberry cobblers, pies or tarts with ice cream gave way to complementing them with lemon mascarpone, updating the old and familiar with the new, adding our own twist to the tradition. 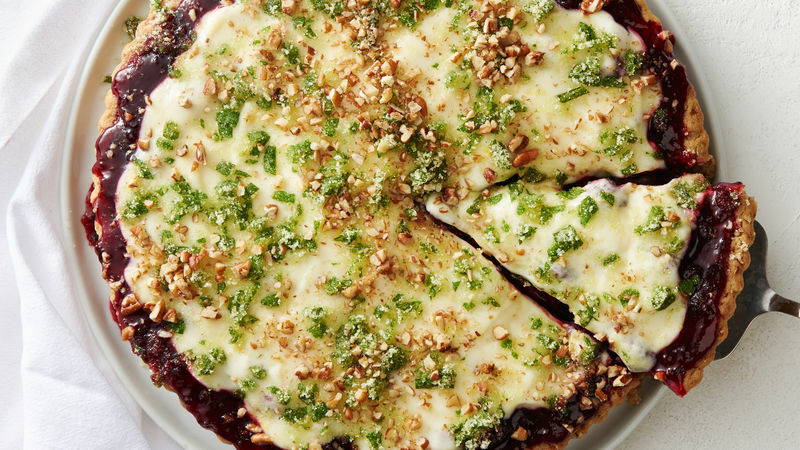 Then, because I love herbs and taught my daughters to use them in everything from appetizers to entrees and—yes—even desserts, sweet basil became sweeter muddled with sugar and added to the tart for serving. A roll of Pillsbury™ refrigerated sugar cookies get dressed up with plenty of pecans (a nod to Grandpa), and forms a sweet, nutty crust in no time flat. Every time we enjoy this sweet and simple dessert, it’s like just, for a flashing moment, we are all together. Made at home and feels like home. It doesn’t get much better than this!